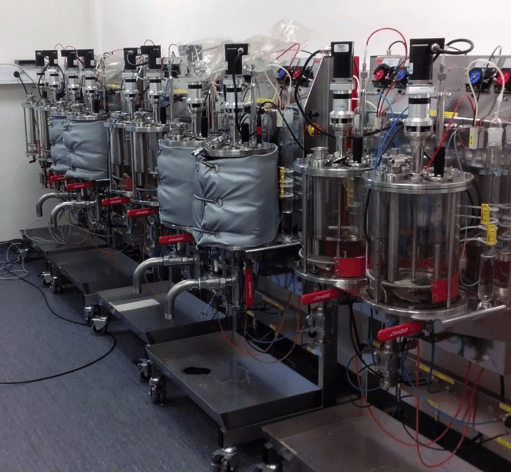 An important task for the researchers in BioBUF is to investigate how the biorefinery process operations can be interconnected as well as integrated with existing industrial processes. This enables the exchange of, for example, heat, carbon dioxide, and nutrients between different processes. What is regarded as residual waste in one process may be a valuable asset in another process. A high degree of interaction of the processes could potentially yield significant benefits. It could even be a prerequisite to achieve necessary levels of energy efficiency, as well as economic and environmental viability. To model and assess the biorefinery concepts at an industrial scale, data from the lab-scale trials performed within the project are used together with data from the literature.